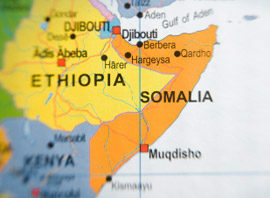 As many of you are aware, Somalia has been struggling with civil war and devastating malnutrition as the country desperately tries to regain control of their overthrown governments. Caught in the middle are the hundreds of thousands of children under the age of 5 who are displaced with their families from war-torn communities as well as drought and subsequent flooding. This sad situation requires aide from the organizations and individuals like you, to step in and help. With medical attention, food, and water. To date, Food For Famine Society has sent a total of 15 shipping containers of RUTF to these shattered areas in order to provide some relief and nutritional aide to this fragile age group of under 5 years of age. If you would like to sponsor or donate your own RUTF shipment, please click here.